Damages in Personal Injury Cases - How Big is Your Case? In this modular presentation, Mssr. Baker leads a distinguished panel on Damages in Personal Injury Cases. 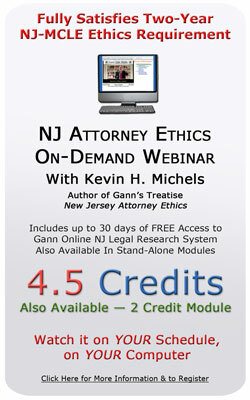 This program has been approved by the Board on Continuing Legal Education of the Supreme Court of New Jersey for 4.5 hours of total CLE credit. Of these, 0 qualify as hours of credit for ethics/professionalism, and 1.76 qualify as hours of credit toward certification in civil trial law.